Now that Winter is well and truly here (by Winter, I mean the colourful leaves have fallen off the trees and the morning school run is normally a frosty one, it doesn't really feel all that wintery without snow really does it?) I have switched up my wardrobe, got out my scarves, bobble hats and chunky knits and our family shoe basket is now brimming with boots of every variety. I'm not one for going out and regularly buying new bits for my winter wardrobe all that often, and in fact I prefer to have just a small selection of pieces which I rotate around and mix and match to create different looks. I find having too much choice means I often never wear half my wardrobe, and stick to the same things anyway. 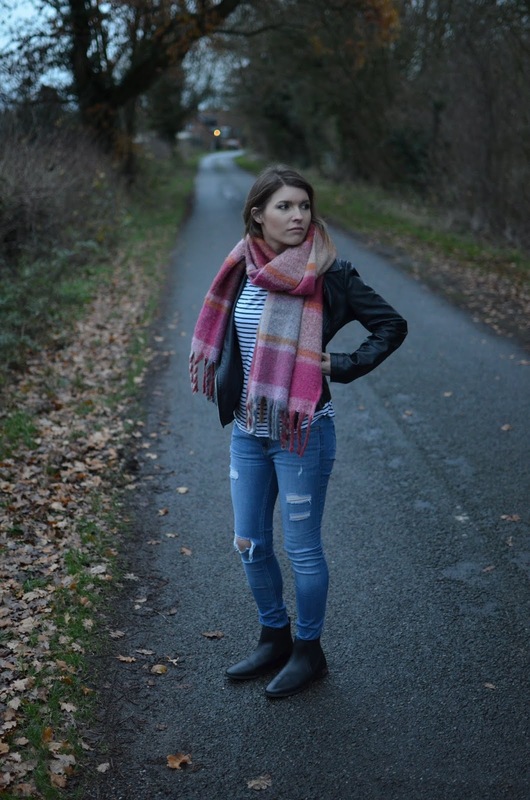 I spend my days doing the school run, chasing about after a toddler and going on countryside walks around where we live, so my go-to winter style tends to be practical and comfy, cosy and stylish too. 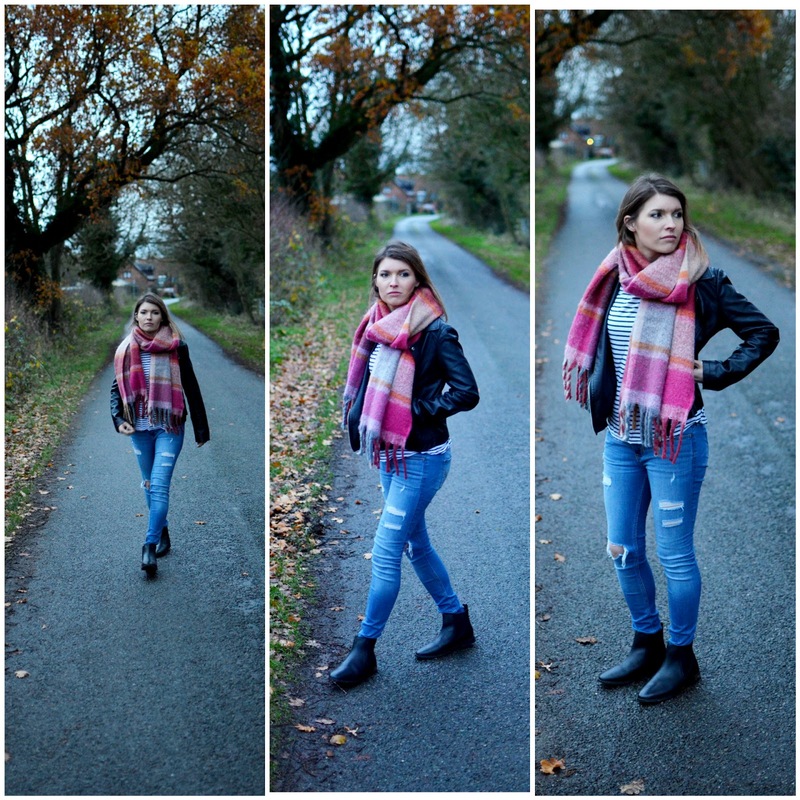 My go-to daily style tends to involve jeans and a jumper of some sort, but I wanted to show a few pieces I've been wearing which have added a bit of interest to an outfit. 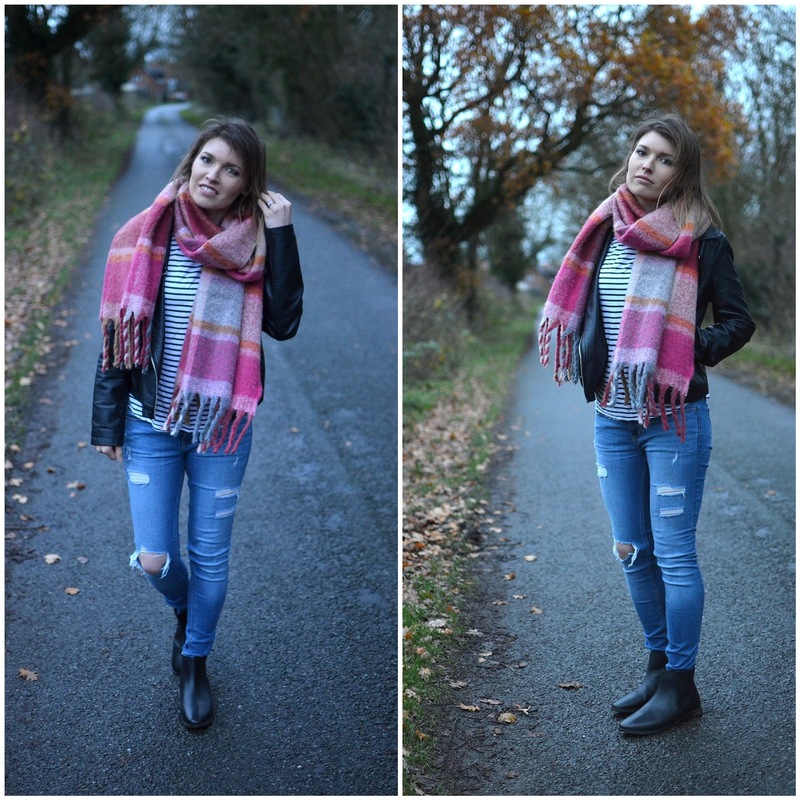 I love how a colourful scarf can completely change an outfit. I love the pink and orange tones in this Accessorise from JD Williams. It's beautifully soft and keeps me warm on those frosty school runs and countryside walks. I've teamed it with ripped jeans, leather jacket and a striped tee. Unless I'm in my trainers, I will tend to wear boots every day through winter. I do find I get attached to one pair and wear them to death. 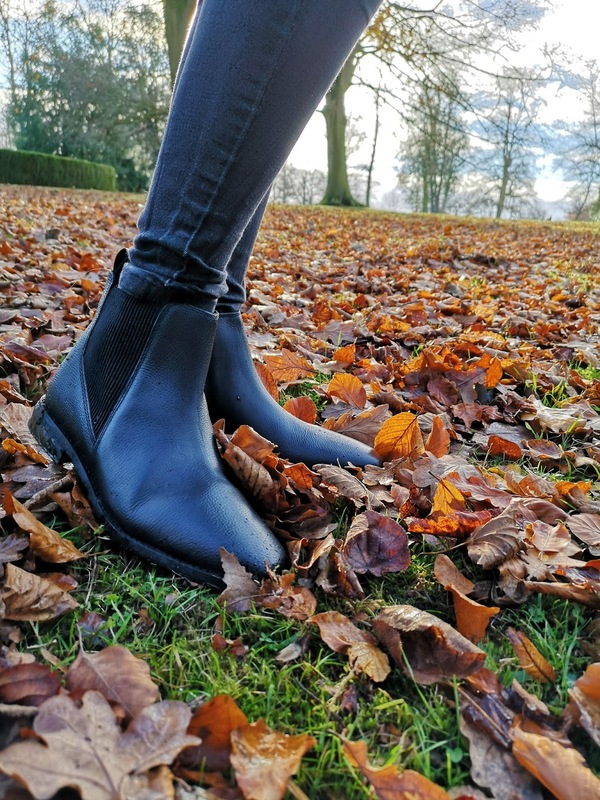 I love Chelsea boots, and usually opt for brown ones, so I was keen to add a pair of black Chelsea boots to my shoe collection. They're so versatile. These are again by Accesorize from JD Williams. They're super comfy and I can tell I will wear them a lot this season, either with jeans or with tights and a dress. 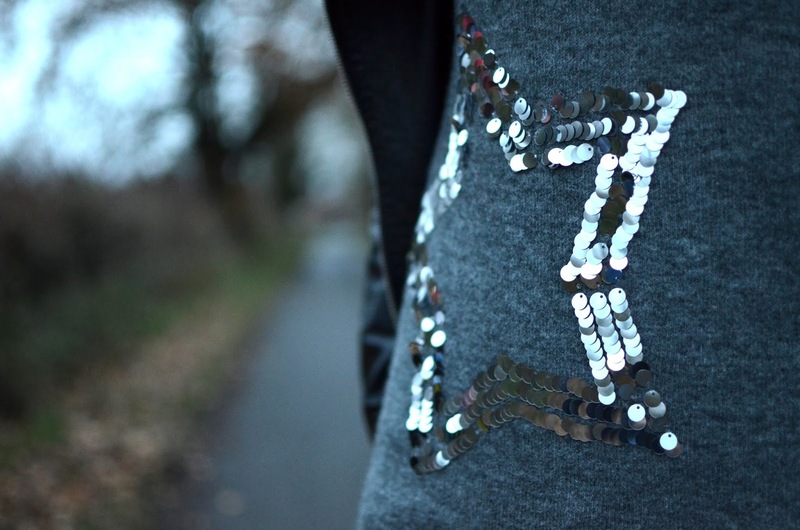 Another item I've added to my winter wardrobe is this embellished star jumper. It's quite a loose, floaty fit, and looks great either paired with jeans and a leather jacket and a bobble hat for a more casual look, or with black trousers and boots for a smarter more festive look, perfect for a Christmas drinks party. 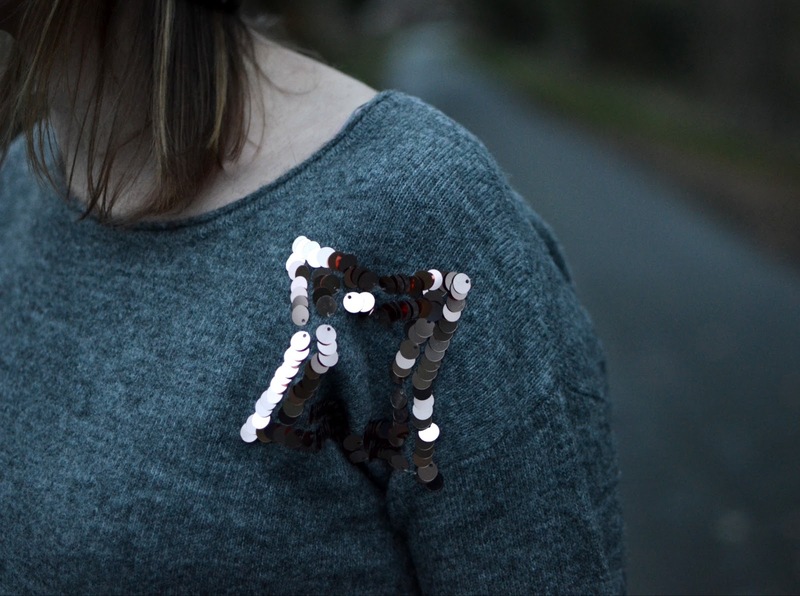 The charcoal grey jumper is by Monsoon and the grey knit feels and looks really high quality. The two embellished star details add a real touch of festive sparkle...very Christmassy without being too garish. 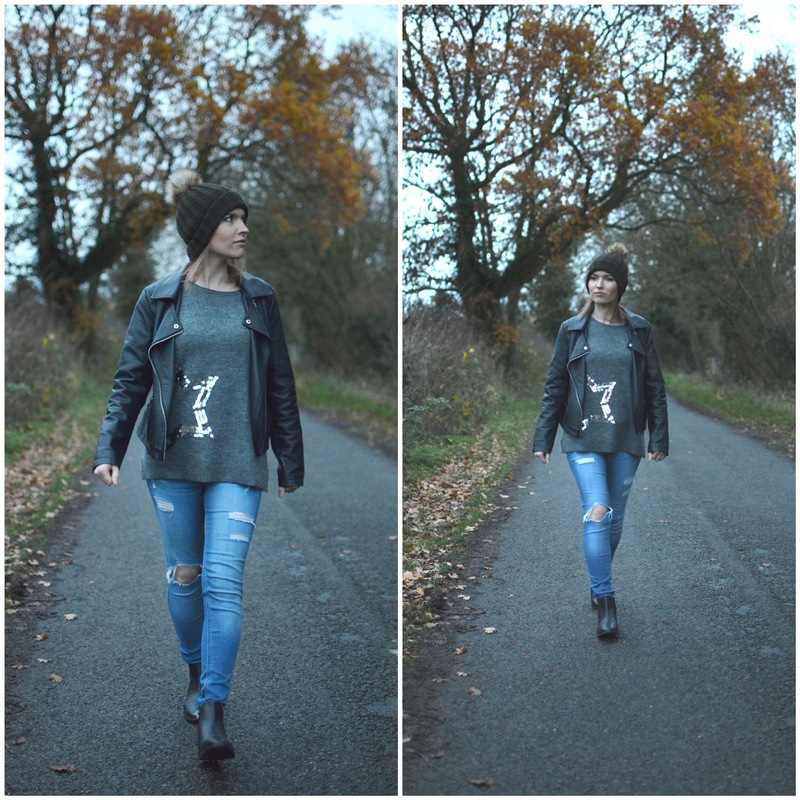 And so with just a few key pieces, I've created two winter looks, both simple and easy to wear. It's amazing how by simply changing one part of an outfit, you can completely change an entire look. What are your go-to pieces this autumn/winter? Looking cool. In today's fashion world, there is something to fit and suit every style, personality and physique.